Heat 1 1/2 cups milk, the peas, carrots, chicken and soup to boiling in 3-quart saucepan. Stir Bisquick mix, 1/3 cup milk and the pepper until soft dough forms. Drop dough by 8 spoonfuls onto chicken mixture. Cook uncovered over low heat 10 minutes. Cover and cook 10 minutes longer. Sprinkle with parsley. 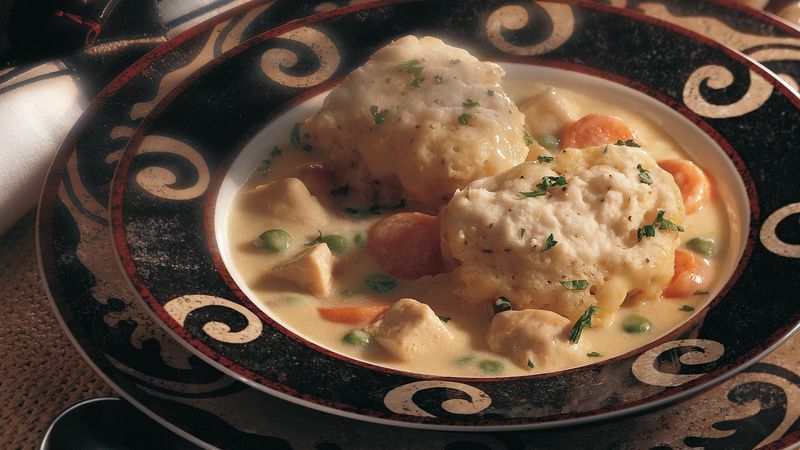 For tender dumplings, don’t overmix the dough. Mix just until moistened.